King's Indian chess players revel in do-or-die tactics, but not every opponent wants to cooperate. Some want to bore the pants off you with the Exchange Variation, or the London System. Others go for your throat with the Four Pawns Attack, while some simply confuse you with the Trompowsky. Take heart, for GM Gallagher has provided you with all you need to know. 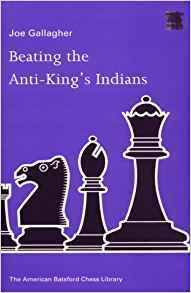 This book provides a complete repertoire for King's Indian players against all of White's attempts to avoid the main lines. It shows how to defuse attacking systems such as the Four Pawns, and gives you a full repertoire against the Averbakh and h3 systems. It also offers aggressive lines against the exchange variations, and recommended psychology against unambitious opponents.